looking for a remote coding job does anyone know who is hiring. I have put in 100 resumes so far! I also want to learn to code inpatient. I am preparing for the CCS. My advice to you is that while you may pursue remote coding, learning inpatient coding cannot be effectively done remotely. This requires lots of hands-on training and years of experience. It's important to note that most inpatient coding positions require several years of qualifying experience. Like many of the other more complicated avenues one can pursue in coding, inpatient is not something learned overnight. Good luck to you. Consider approaching inpatient academically--perhaps through preparation for the CCS and then obtaining practical experiences; start in a "transitional" position such as outpatient hospital or something similar. They can lead to inpatient coding experience. I am a CPC actually the President of the Local Chapter in Tupelo MS and have been through Penn Foster which included inpatient coding. Not sure why it fascinates me so. I have worked at a hospital and 2 doctor offices. I am looking forward to going back to the hospital setting. I have been checking in on CCS classes but I cant keep pouring money into this thing with no results so. I am signed up for the test and bought 2011 books and review guides. Not sure at this point if I can afford to go back to school since I have 3 college degrees already. Be sure to also check with your local AHIMA chapters to see if there are any prep classes for the CCS in your area. If you lack a local chapter (or have one that is marginally active), check with your state association. 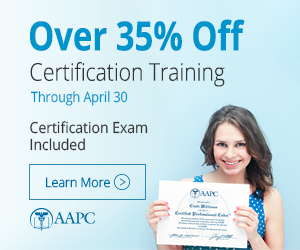 Some local AHIMA chapters offer credential prep classes, especially for the CCS. These would be minimal cost compared to formal classes. Keep in mind that eligibility for that exam is not based on another degree and that proper preparation is the key to passing. In my area there are neither academic programs, nor local chapter prep classes for the CCS, yet folks still find way so of passing the exam.